​Barcelona have reportedly pulled out of the race to sign Eintracht Frankfurt wonderkid Luka Jovic, as they fear his play style may prove problematic for Lionel Messi. However, according to ​Mundo Deportivo, the move will not happen after ​Barcelona ruled out the possibility of signing Jovic. 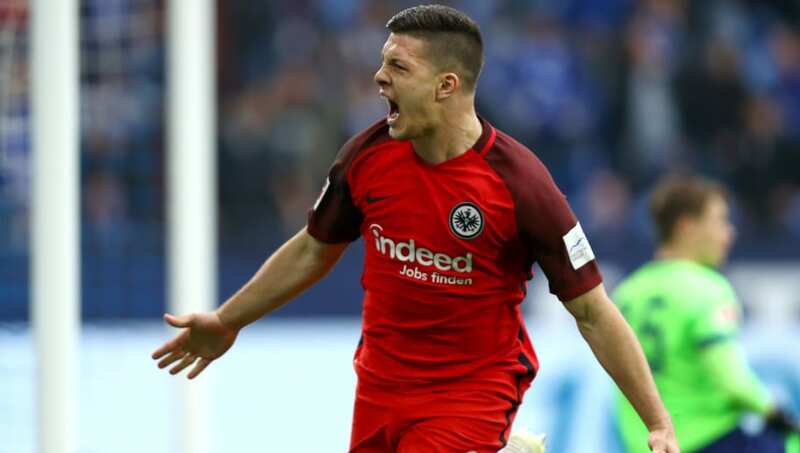 The Blaugrana remain desperate to sign a new striker to ease the burden on ​Luis Suarez, and they certainly believe that Jovic, who has racked up 25 goals this season, has the goalscoring qualities needed to be a success. But, after extensive scouting, they fear he may not play well alongside ​Messi. Barcelona want someone who can help create goals and put in work outside the penalty area, and they believe that Jovic, who spends a lot of time in the box, may reduce the space for Messi to work his magic. He does his best work as a poacher, but Barcelona are looking for a new signing who can play short, fast passes anywhere on the pitch to help form a dynamic trio with Messi and ​Ousmane Dembele. Instead, they could turn their attention to ​Atletico Madrid's Antoine Griezmann, who is said to fit Barcelona's ideal profile of a new striker, even though giving up on Jovic could allow him to join arch rivals ​Real Madrid.